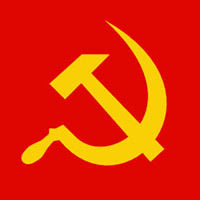 DAVAO CITY, Philippines (Mindanao Examiner / Aug. 10, 2011) – Communist rebels holding a southern Philippine town mayor said the politician is being tried by a revolutionary court on various criminal charges, a spokesman for the New People’s Army said on Wednesday. The rebels snatched Mayor Henry Dano, of Lingig town in Surigao del Sur province, on August 6 in a daring raid that also captured two soldiers guarding the politician in his house. Dano could face execution by musketry if rebels find him guilty of all accusations against him. “The charges point to Mayor Dano’s direct and indirect, overt and covert participation in armed hostilities waged by the AFP, PNP and their intelligence and paramilitary units against the NPA,” said Rigoberto Sanchez, of the Merardo Arce Command. “Foremost of these acts is his maintenance of a private armed group and engaging in intelligence gathering against the revolutionary forces in Guerilla Front 20 in conjunction with the 4th Infantry Division intelligence operations,” he said, adding the mayor would also be investigated for his role in army recruitment in his town. AFP refers to the Armed Forces of the Philippines, while the PNP is the acronym for Philippine National Police. “He will also be questioned about his frontline participation in AFP military work like recruitment for Philippine Army enlistment and recruitment of the paramilitary CAFGU, among others,” Sanchez said. CAFGU is short for Civilian Armed Force Geographical Unit, a paramilitary group under the supervision of the Philippine Army. “He was disarmed and taken into custody in order to subject him to an investigation to determine his individual liability with respect to complaints lodged against him before the People's Court for various armed hostile acts against the revolutionary forces,” Sanchez said referring to Dano’s capture. He said the two captured soldiers - Corporal. Alrey Desamparado and Private First Class Allan Pelino – are also being investigated. Both are working for the Army’s 75th Infantry Battalion’s intelligence unit. Aside from the mayor and his bodyguards, Sanchez said the NPA is also holding four jail officers - Police Inspectors Murphy Todyog and Eric Llamasares, Special Jail Officer 2 Rogelio Begontes and Jail Officer 1 Rolando Bajuyo Jr. - who were seized July 21 after a daring rescue of a prisoner Dennis Rodenas in Bukidnon province. Authorities said Rodenas is a senior rebel leader who is facing a string of criminal charges. He was rescued by dozens of rebels while being transported to a prison facility in Davao.